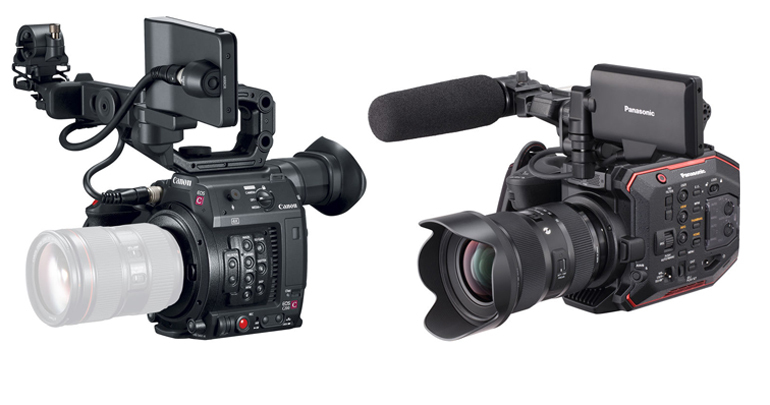 The biggest news this week are the two cameras that are going neck to neck: the Canon C200 and the Panasonic AU-EVA1. We hope to do full hands-on reviews of these cameras soon, but until then, here’s our thoughts! 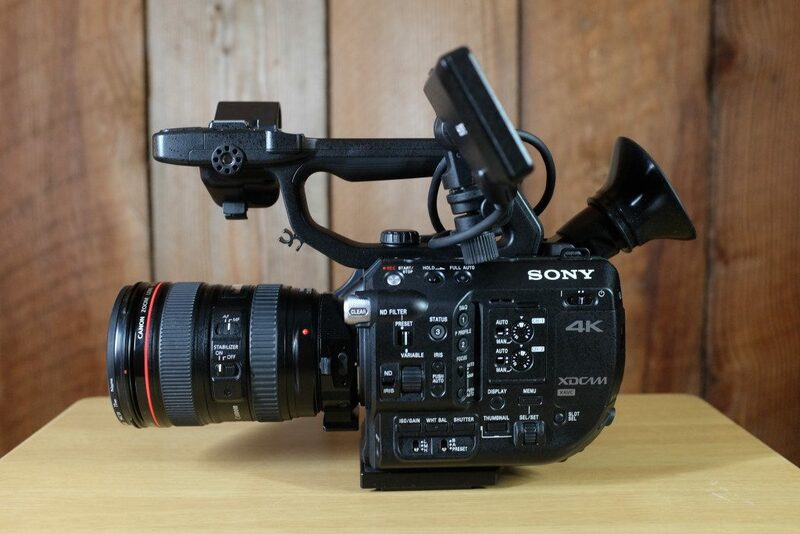 First of all, we are thrilled to see proper cinema cameras targeting roughly the same user market as the Canon C100. There are many of us who have built gear eco-systems around the C100, so it’s a little tough to consider switching to a small DSLR or mirrorless camera, or moving up to a bigger camera. For example, video monopods. We still believe they’re the most useful tool in the business. With only your camera, a couple lenses, and a video monopod like this one, you can capture a hundred usable shots - with variety - in less time than it takes to setup a tripod, get out your gimbal, position your slider, and prepare to start shooting. So when the Sony FS5 came out, we were excited to buy into a new camera system that worked with all of our gear, including video monopods, sliders, bags, and even on our Helix Jr gimbal. But alas, that camera was a disapointment for us. As it was for a lot of people, who were then told by camera experts that we simply weren’t using it right. Maybe that's true, but that doesn't change the way we feel about it. One day we’ll write about our experience, but only after the dust has settled among both sides of the heated debate. So we moved up to the Canon C300 mark II, and that’s been a pretty substantial upgrade for us. We’ve had to rethink our gear in many ways, and although we shoot with both the C300mkII and the C100, we’ve essentially had to divide our shoots and gear kits between those two cameras. That’s why we now have our documentary filmmaking kit (with the C100), and our corporate video production kit (with the C300mkII). 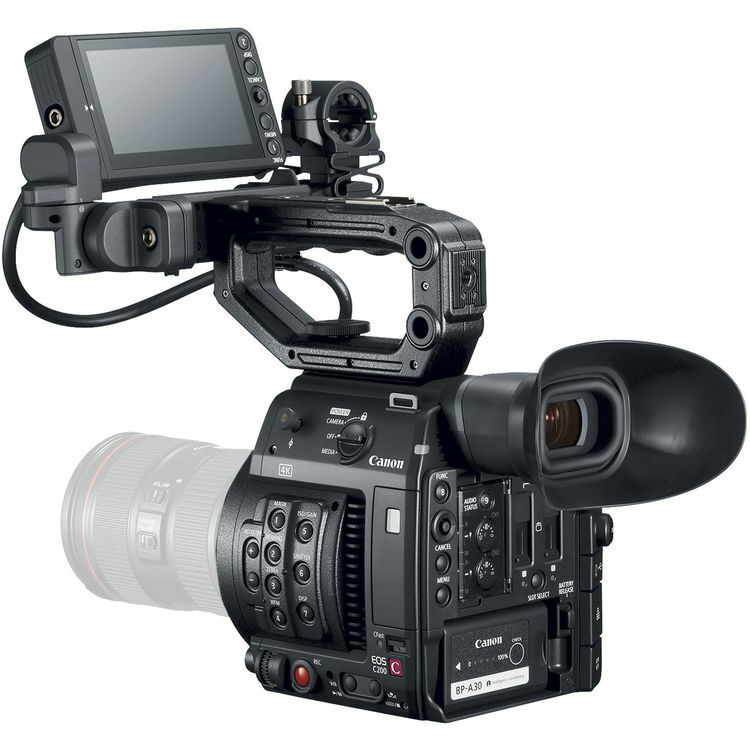 But like many videographers who buy into one primary camera, we still need to have a secondary B-cam on our C300 shoots. And the C100 doesn’t quite cut it. Neither does the Canon XC10, which we used for about a year. The Canon 1DX mkII doesn’t have C-log, the Cano﻿﻿n 5D mkIV does (now). But having to switch back and forth between the C300 and a DSLR on a shoot can get frustrating quickly. The form factors are completely different. ​Okay so, the specs are all there, the ergonomics and size, better AF, excellent EVF, more ND filters, audio pots on the back, better and more modular LCD screen, 4K - everything seems to be exactly what camera gear heads have been asking for. But the internal recording options are a little . . . strange? We’re not sure how the Cinema Raw Light workflow will help or hinder the C200 as an A or B cam. We’re used to the high bitrate of the C300mkII’s 4k record - around 80 minutes per 256gb Cfast card - but the C200 Raw Light will do about 30 minutes on the same card. Transcoding will take some time, but that’s not really an issue as much as having enough capture cards on hand during a shoot. The C200 can also record HD at 35mbps, which seems crazy low, but that’s higher than the C100 mk1’s 24mbps bitrate, and huge swaths of videographers have been perfectly happy with the C100 image quality for years. But the fact is, anyone who shoots for a broadcast client needs 50mpbs, which is often the standard minimum bitrate for TV networks. So is the C200 doomed? Not so fast. In between that super low and super high bitrate is UHD at 150mbps, up to 60p, recorded to SD cards. For some reason, all the reviewers have been ignoring this little spec, focusing instead on the odd choice of extremely high 4k RAW recording, and the very low HD bitrate. People - you may not realize it yet, but recording UHD at 150mbps is everything you’ve been asking for. You and your clients want 4k, but you don’t want to spend thousands of dollars on Cfast cards? 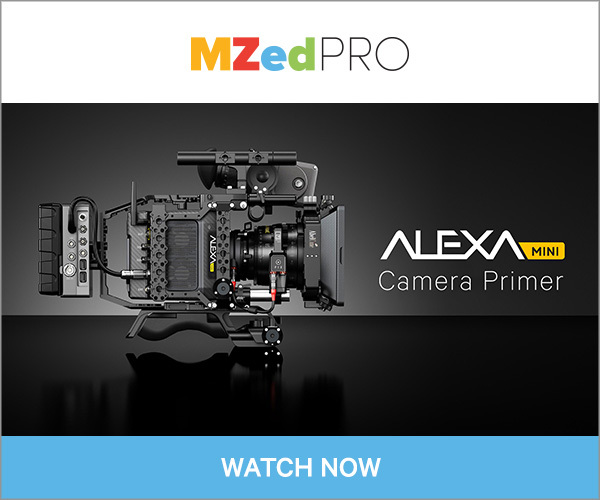 You work in HD timelines, but want to record 4k to give you options in post? You only want to work in HD? Transcode UHD to HD when you upload your cards. You want to record 4k at commercial grade specs? Use Cinema Raw light. If you only want HD, at 50mbps, and don’t want to mess around with transcoding, well, the C100mkII is still available, and cheaper than the C200. If you want to record 4K, at a higher bitrate and color sampling, but not RAW? The C300mkII is your main man. So there you have it. Canon has given us cinema shooters pretty much everything we’ve wanted, but many will still find reasons to pout, and threaten to go elsewhere. That’s the nature of the game - and it’s actually kind of fun to watch happen in real time, whenever a new Canon camera is rumored or released. Recognize this sentence? “Canon, I was totally going to buy the ____ camera, or even 2 or 3 of them, but ____ kills it for me. Fix that, and you have my money.” Repeat on release of every new camera. 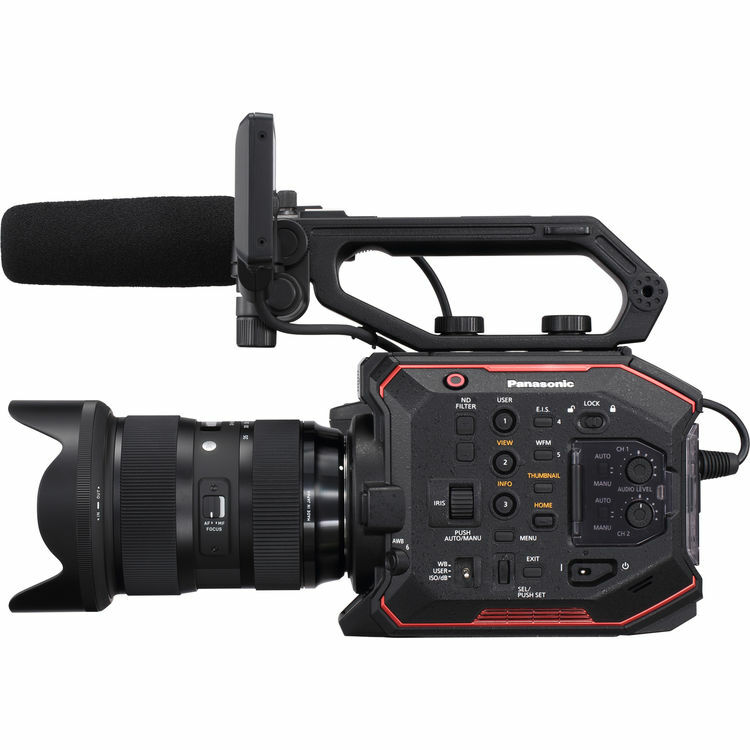 So that’s where the new Panasonic AU-EVA1 cinema camera comes in. We don’t know if the name will ever catch on - AU-EVA1? Really? - but it seems to have everything that we all want, if we don’t want to buy a Canon C200, for whatever reason. It’s like a Sony FS5, but with a native EF mount, and it has Panasonic colors, and that beautiful dual-ISO sensor. 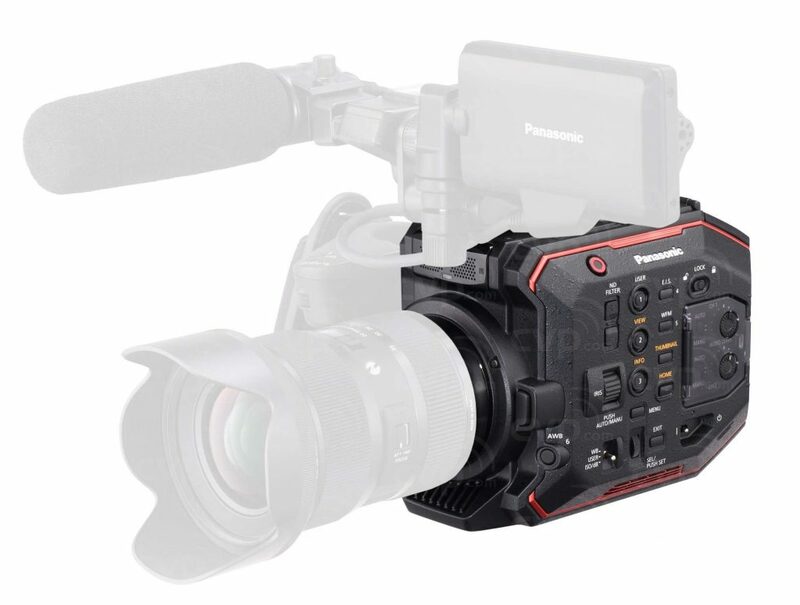 Noise in S-log is what killed the FS5 for us, so this Panasonic cam is the perfect antidote. For those of you who have bought into the Panasonic GH4/GH5 system, the AU-EVA1 is a natural purchase. Panasonic basically has your money already, whether you know it or not. That is, unless you’ve also bought into a bunch of MFT lenses. But if you’re still rocking your Canon EF lenses, you’re golden. Except that your Canon lenses become dummy lenses on the Panasonic AU-EVA1. The Image Stabilization - at least at the moment - doesn’t work. Neither does AF. So your very expensive, expertly engineered EF lens is kind of wasted. Too bad, because on the Canon Cinema cameras, those EF lenses become amazing autofocus beasts. But whoops, it doesnt have an EVF. Maybe you don’t need one? 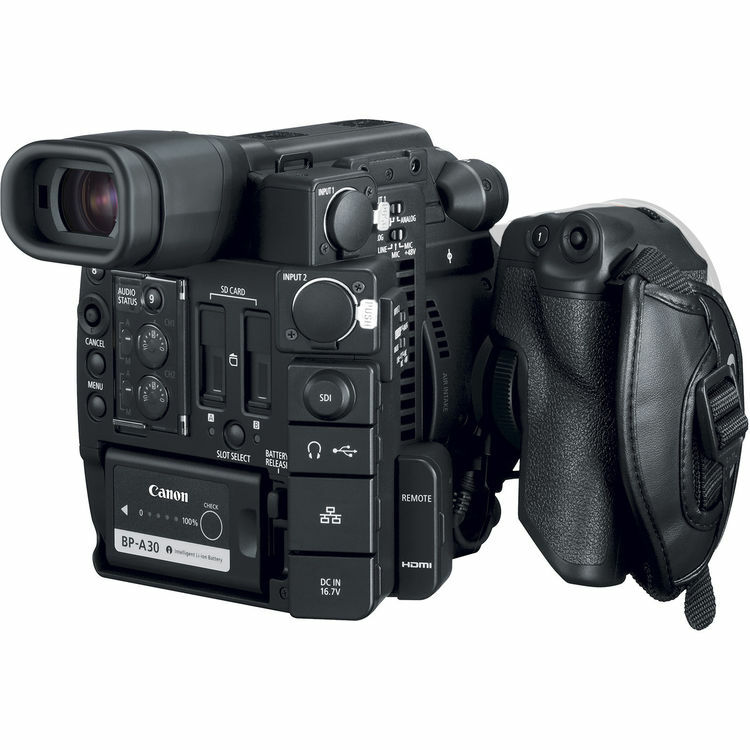 The Canon C200 is also available in a skeleton configuration without an EVF (or LCD), called the C200B. It’s meant for gimbal and remote operation, which makes sense given its great autofocus, and built-in wifi controls. But many of us want one camera that can be used in lots of configurations, whether handheld, on a gimbal, or rigged up on a tripod or shoulder rig. In conclusion, we’re really happy to see both of these cameras out on the market, since they are targeting shooters like us specifically. And anytime big companies like Canon and Panasonic give us something that’s specifically made for us, we open our wallets. We’re not sure why the demo video for the C200 features a large Hollywood crew using the C200 with $30,000 lenses on Easyrigs with a famous director standing by. That’s not who this camera is for. So, that was a little confusing. But we’re pretty sure Canon knows this camera is for us. Panasonic definitely knows it. ​When we were given an opportunity to review a Rode mic, we wanted to try something that hasn’t already been reviewed a thousand times - like the VideoMic Pro, NTG2 and NTG3. And we were also very curious about the Rode NTG8 and how it could work within our gear ecosystem. Well in just a couple months of using it, the NTG8 has already been a lifesaver on a few different shoots, including music performances in the field, and dialogue outdoors in noisy environments. As a bonus, we’ve found the Rodelink Newsshooter Kit to be a perfect companion to the NTG8 on documentary and corporate shoots. 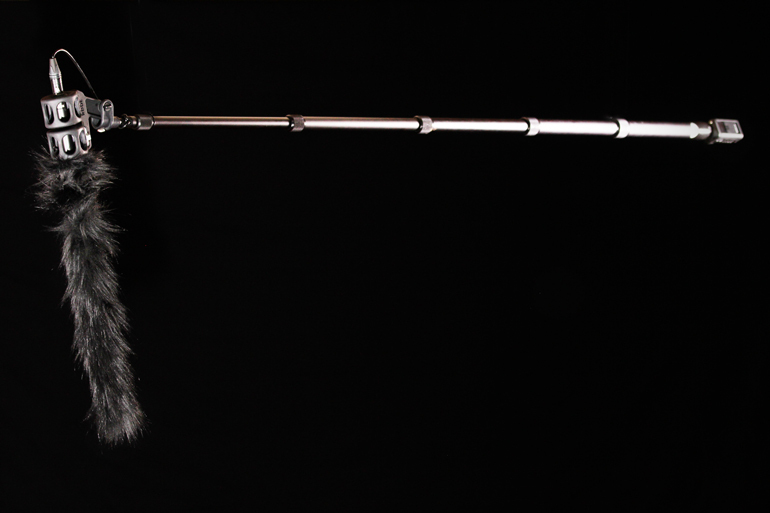 We now have a boom pole with the NTG8 and wireless Newsshooter Kit ready to go, on standby, on all of our shoots. When someone has a free hand, they can grab the NTG8, point it towards whatever we’re shooting, keeping the mic well out of frame, and giving us another audio channel to choose from on that shot. How do we end up writing thousands of words on the subject of camera bags? Well, we think about bags a lot actually, since they’re the foundation of our documentary filmmaking and corporate videography kits. Gear without a bag is just gear on a table. In a bag, it becomes a go kit. 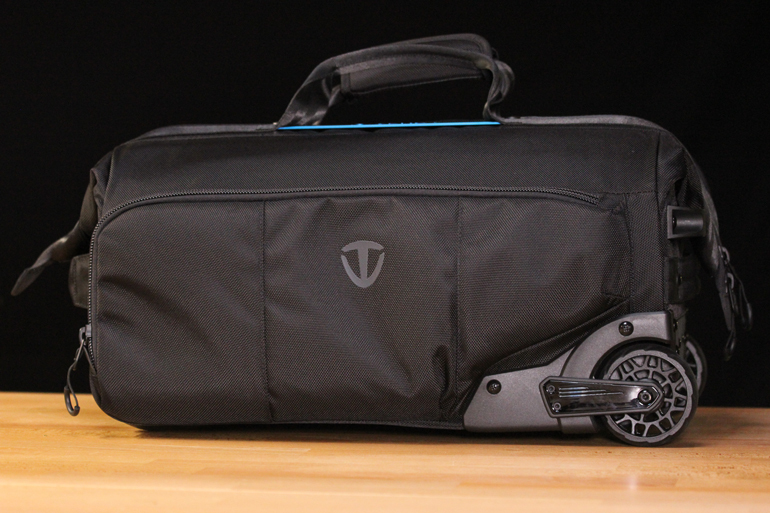 As luck would have it, at the same time we were considering the Think Tank Video Transport bag system, we were also given the opportunity to review the new Tenba Cineluxe R﻿﻿oller 21. Tenba has a whole line of Cineluxe bags, all of which feature “doctor bag” style openings. We are huge fans of doctor openings and have been using the Sachtler Dr. Bag 3 heavily for a few years. So now that there are different sizes and styles in the Cineluxe collection, we’re pretty stoked. 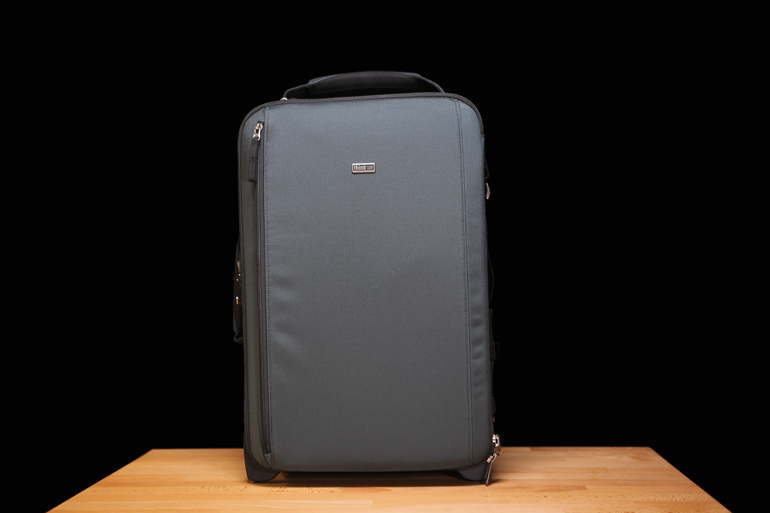 The Tenba Cineluxe Roller 21 is a carry-on size bag with wheels and the doctor style opening. It’s small enough to fit on regional jets, which tend to have smaller carry-on spaces than larger airplanes. And like the other Cineluxe bags, Tenba includes dividers that are bendable and stay in their position. Read our full review of the Tenba Cineluxe Roller 21. What kind of camera equipment and filmmaking gear do you use? When we first launched Digital Filmmaker, our core mission was to present gear reviews from the perspective of everyday videographers who actually go out and use their gear. 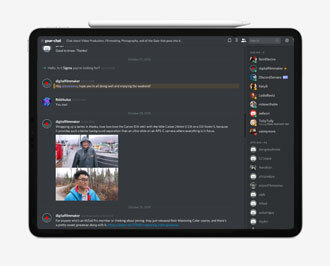 We were always interested in what working video producers keep in their actual daily kit, because it’s not like we only use the newest and shiniest tools every time we go out to do our jobs. Every day we use 20-year-old lenses that probably won’t make it into the big review sites tomorrow, just because those lenses are old news. Anyway, we realize our perspective is limited, so to give Digital Filmmaker readers a wider view of gear choices other videographers are making, we’ve been asking people to tell us what’s in their kit. The first of those articles is by reader Marcus Hung, who shares the pieces of filmmaking equipment that are essential to his wedding and corporate video produciton business. B&H has deals that come and go - here are a few current discounts for video gear we recommend. By subscribing, you'll also receive gear tips, specials, and our latest posts via email. We are working filmmakers, not armchair bloggers. We write about video production gear that we use everyday on real world documentary and corporate shoots. We also post reviews and commentary about tech tools and gadgets for creatives. Got a question? Or want to contribute a gear review, opinion article, or a look inside your kit? Shoot us an email. Join the Digital Filmmaker community!